This tropical tree bears pods which give us the much-used tamarind pulp. Fun fact: Did you know that because of its dense branches and foliage, it is popular as a shade tree? 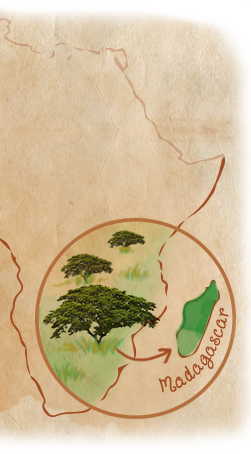 Unearthed deep somewhere in the countryside of eastern Africa, legends suggest that tamarind’s roots could be traced back to Madagascar where it is known to be lemur’s favourite fruit. It is also believed that it was the Arabs, who derived the term Tamar-e-Hind (dates of India), and brought tamarind across the Gulf, influencing their cooking. In East India and the Asian markets, tamarind is available as a dried block. It is also available with or without seeds, as a thick, fairly dry paste and as a liquid brown-black concentrate/syrup. 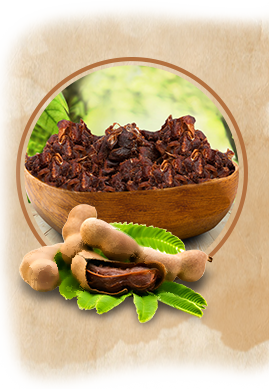 The tamarind concentrate has a distinct smell, and a sharp, acidic taste. Whole tamarind has little to no smell with a sweet and sour fruity taste; the sour element is due to tartaric acid. 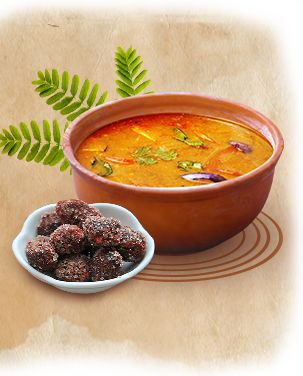 In India, tamarind is used to make curries, chutneys, marinades, preserves, pickles and sherbets slightly acidic. It also gives many Indian dishes, such as sambar and some Gujarati vegetable stews their characteristic sourness. Also, an interesting way to use tamarind is to roll its pulp in sugar and eat it as candy. It treats inflammation of the skin and purifies blood. It promotes a healthy heart and manages cholesterol levels with its dietary fibres. It is believed to protect us from colon cancer. It helps to prevent fluorosis (a type of bone disease). The consumption of tamarind helps keep the digestive system clean. Tamarind seed paste relieves pain from insect bites and styes in eyes.